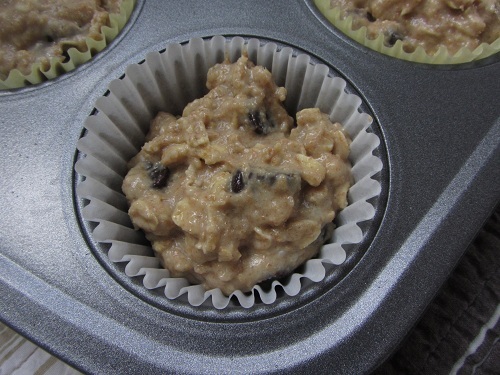 These healthy oatmeal muffins have been my favorite breakfast recipe for many years. Healthy eating is not about giving up the foods that you love, but adapting them to be healthy recipes that you can enjoy without guilt. The original recipe calls for simply flour. I have used whole wheat pastry flour, or white whole wheat flour with great results. The original recipe also does not call for blueberries, but they are such a health benefit that I usually add them. If they are in season I use fresh, if not I use frozen. Always leave frozen berries frozen until you are ready to use them, to lessen the amount that they will bleed into the batter. I also reduced the butter by half, and often use coconut oil with success, although you can taste the coconut flavor and I prefer them made with butter. I reduced the salt by half also, but you can completely leave the salt out. I always use a dairy free milk and just make it sour by adding apple cider vinegar to the milk. The recipe will make 12 to 14 muffins that are 2/3 full. The original recipe was from Delectable Collectibles which is a compilation of recipes, and this one was by Marilyn Klein. I always triple the recipe and freeze the remainders! Combine oats and sour milk and let it sit for a few minutes. Mix together butter/coconut oil, brown sugar, and egg. Beat with a beater if you are using coconut oil. Combine the dry ingredients together in a separate bowl. Gently mix together but do not over mix. Add the blueberries until just mixed in. 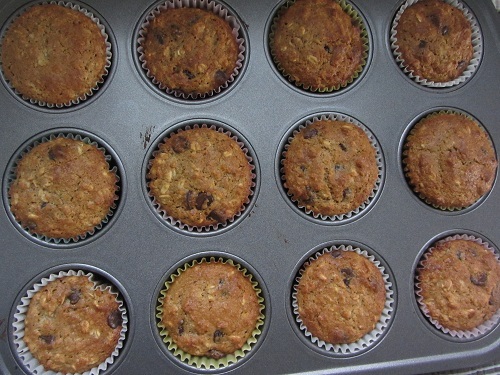 Fill a muffin pan with muffin papers and fill them 2/3 full. Bake at 400 degrees for 20 to 25 minutes until toothpick inserted comes out clean. Add 1 t. vanilla and 1 t. cinnamon and 1/2 cup raisins instead of the blueberries. Add ½ cup maple syrup instead of the brown sugar, and add ½ to 1 cup chopped walnuts instead of the blueberries. Sprinkle a bit of the chopped walnuts on the tops of the muffins. Add ½ to 1 cup chocolate chips instead of the blueberries. Add ½ cup shredded apple and 1 t. vanilla instead of the blueberries. 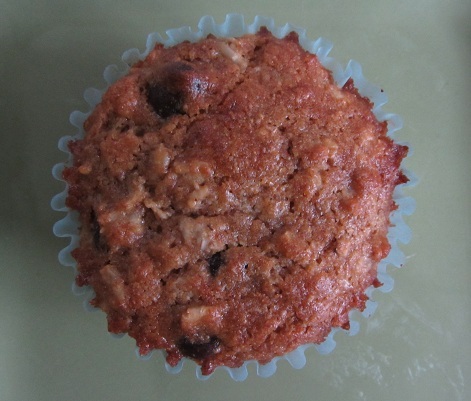 These oatmeal muffins remain my favorite. 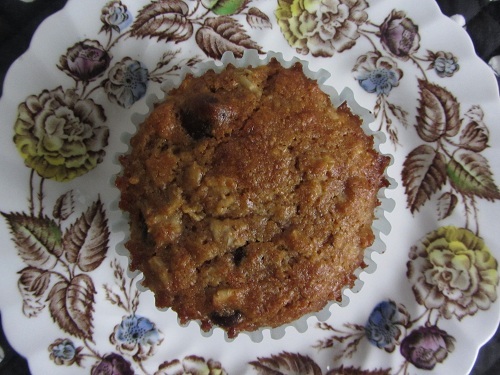 I have tried many other muffin recipes that sound great, but always return to these. They always receive rave reviews and I change up the blueberries, nuts, chocolate chips, or add apples, so they seem different. 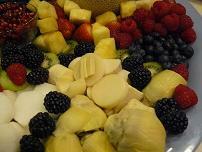 They pair nicely with fruit purees! Pumpkin butter is a treat for the fall days! 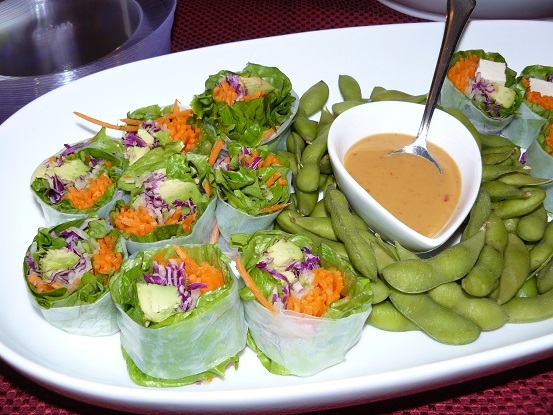 Healthy cooking is about keeping foods that you love in your meal plan, and a healthy diet habit to adopt! Just upgrade to better ingredients!